I’ve come home to Bristol for Christmas (wonder if I’ll see any of the ILRT folks like Libby Miller or Dan Brickley doing their Christmas shopping? ), and what do I find? I find that not only has my Mum bought a new computer (a 2.2GHz Dell with half a gig of RAM! ), but that it connects to the Internet via the 802.11g wifi router sitting in my bedroom! Bloody hell, I wish my house was like this! Talk about way to make a boy feel jealous! Is there an RSS feed for Magazine? RSS! Mentioned on one of the main pages of the BBC website! Astonishing! It’s probably about to make its merry way around the blogiverse anyway, but the Internet Explorer Accessibility Toolbar really is excellent. It features most of the tools available on the Mozilla Web Developer Toolbar and a few other ones (such as links to an online version of Tidy as well as sites for checking what your page looks like to users with different types of vision impairments, and links to accessibility guidelines, view page metadata and so on and so on. Excellent stuff, especially for those developers who refuse to use anything but IE (although hey – they probably don’t care about accessibility and standards anyway ;). I’ve known about the Mozilla ActiveX project for ages (genuinely one of the best and most useful things anyone could be doing with Mozilla), but never got around to trying it at all. But it’s this easy to replace the IE component embedded in apps with Gecko? Wow. Bring it on! Interestingly Local News (“your worldwide local newspaper”, as it calls itself) has a “gossip” page powered by Localfeeds. Select your location, hit the “gossip” tab and you get what they call “News from local bloggers…”. News? From bloggers? More like inane prattle. This may be taking the “blogging as journalism” meme a bit too seriously. LinkMachineGo has already linked to it and that’s good enough for me. So here’s the best of everything in 2003. Interesting looking at Erik’s news today to see several Java bulletin-board type things covered. In a totally unrelated, but nevertheless coincidental move, I rewrote some of the Xurble frontpage over the weekend, and hope to get a clean version up over the next few days. 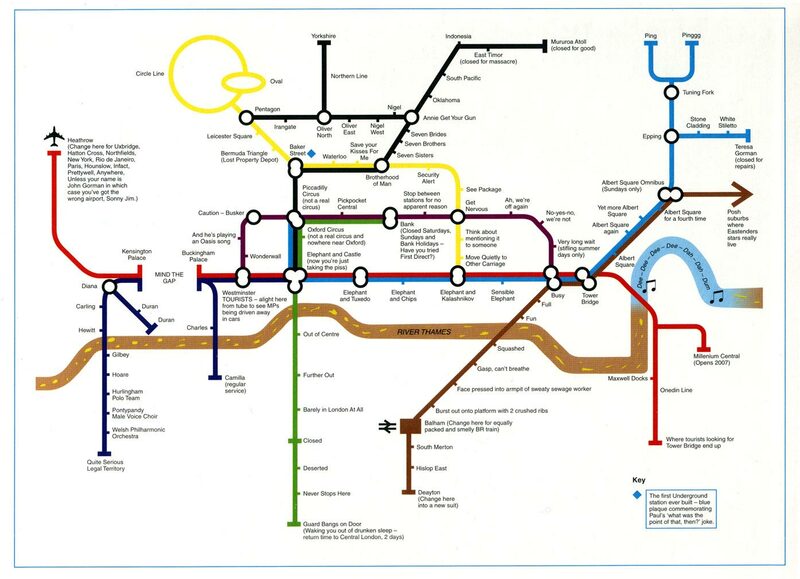 I’ve no idea how long it’s been there, which implies “forever”, but nevertheless, the true London Underground map. It turns out I was just repeating myself (March 2002! ).